When you use the Zaycon Foods sales event as your preferred place to purchase meats, milk, and any of our other fine products, you get advantages even beyond the bulk pricing that comes with our special sales model. You also have the peace of mind of knowing exactly what you’re going to get! A trip to the grocery store can involve wasted time wandering around looking for various foods spread out across the store; at a Zaycon Foods parking lot meat truck delivery (or milk or berries or fish delivery, too!) you have pre-ordered your foods, so all you have to do is show up and wait for our friendly staffers and volunteers to load up your car. Also, unlike in the grocery store, the prices you will pay for a Zaycon Foods product are locked in on our website, so you will know how much you are going to spend before you have committed to a purchase. In July, I signed up for Zaycon foods. We’ve been waiting patiently for a few months now for their Chicken event that was held on October 9th in Wrightstown, NJ. I received several notifications that the event was coming up and many reminders to make sure I would be there between 11 and 11:30am to pick up my chicken. I left the house a little early because I wasn’t really sure what to expect when I arrived at the Church where the Zaycon truck was unloading. I easily found the truck and the driver instructed me to pull right up next to him. A very nice man with an iPad confirming my order, laid down a garbage bag to protect my trunk and placed the large box of 40 pounds of chicken in my trunk. The whole process took maybe one minute if that. I should have read the website once again, because I would have remembered that the chicken was not packaged in any sort of way suitable for freezing. So, after unloading my freezer to organize it to make room for the chicken, I had to make a mad dash to the CVS across the street where I totally overpaid for freezer bags. This was 100% natural chicken with no added hormones, additives or artificial ingredients. It comes directly from the processor, so it has never been frozen. 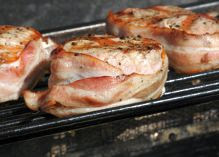 I was shocked at the very limited amounts of fat on these breasts and how large they were. We are a family of 4 and eat a lot of chicken, but we felt that each double butterfly was more than enough per bag to feed us. I cooked up the above chicken for 4 of us the night we received the chicken and it was plenty to eat for everyone. All together we had over 20 bags of chicken breasts. The 40lbs of chicken cost around $75 and I really feel that it is well worth the price. I told my husband that when we are through with this batch, we will order again because it was a great value and easy to do! Plus, I like that there are no club-fees or memberships! 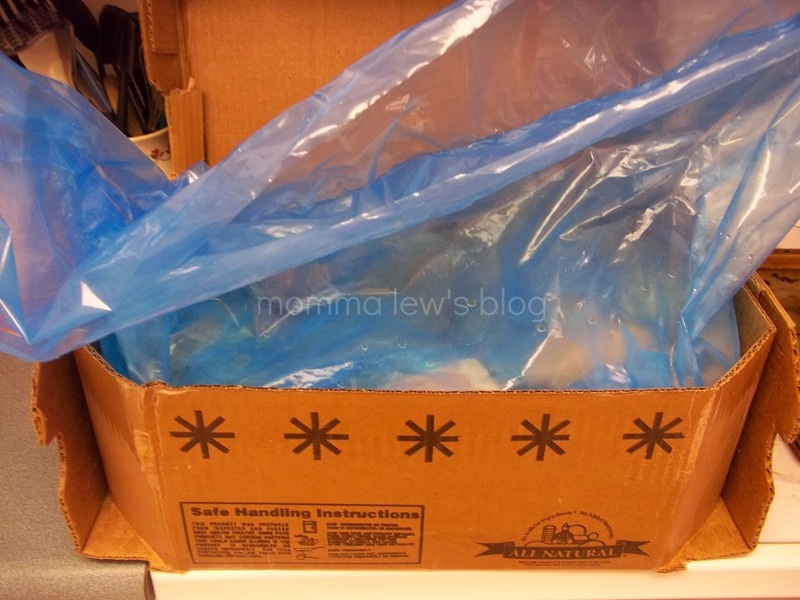 **UPDATE 3/1/15**I am thrilled to be picking up my FOURTH chicken order from Zaycon Foods! Each order doesn’t disappoint and I love the convenience! I now use my Food Saver to pack up my chicken for safe keeping. 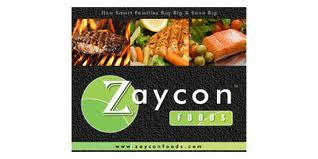 SIGN UP FOR ZAYCON FOODS HERE! I want to try the hamburger meat so bad, but they don’t do trucks near my area! You had me at bacon. Unfortunately, I cannot get this brand in my area yet. That is an amazing deal of chicken! I hate that I missed it when they came here! Hopefully next time! Such a great way to save some money! I love that its reasonably priced but also great quality!! I love that its 100% natural with no added hormones or anything!! Bonus that there are no added fees or membership to worry about! Zaycon Foods sound awesome! I would love to try it. Those are the magic word aren’t they “never been frozen”; very interesting concept. Yes! And the difference is in the taste! I can’t stand fatty chicken. 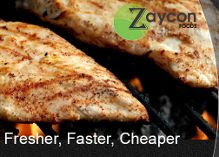 Zaycon foods’ chicken sounds perfect for me! 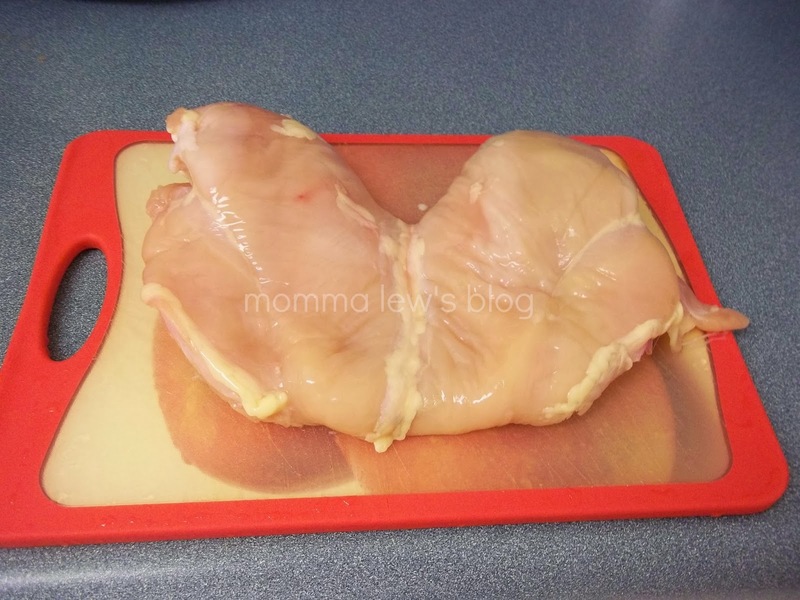 There is such a small amount of fat to trim off of these breasts. It’s a dream! Signed up through your link, can’t wait for it to be available in my area! They told me they are working on getting more farms available around the tristate area!